Planet Of The Sick 6:45. The Art Of Letting Go 5:38. Don't Let The Sun Catch You Crying 1:07. 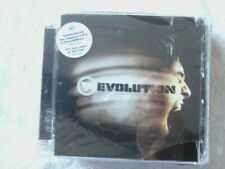 TC : Evolution CD (2007)Title: Evolution Artist: TC Genre: R&B/Soul|Modern R&B Duration: 63.30 mins Format: CD / Album Type: CD No. of Discs: 1 disc(s) Studio / Label: D Styles UK Release Date: 01 Oct 2007 Explicit Lyrics: Yes. Patrick Moraz ‎– Human Interface. 2 Beyond Binary 4:31. 9 Hyperwaves 6:06. 8 Stressless 6:08. 7 Kyushu 11:03. Get Down (Radio Edit) - Groove Armada;Groove Armada feat. Stush and Red Rat. I See You Baby (Fatboy Slim Radio Edit) - Groove Armada feat. Gram'ma Funk. Superstylin' - Groove Armada. Purple Haze - Groove Armada. TC Evolution [NEW] New but not sealed CD Album Condition New as in the photo and specifics Payment with Paypal only Our reference : Store-52636 See your item in the photo we have provided. Only genuine items are sold by RVG. MASTERCUTS Life Style DISCO HOUSE. High Energy - Evelyn Thomas/Axwell (Axwell Dub Mix). Get Naked - Starbeach/D'Empress (Naked Dub - Alliance DC Mix). Love Boots - Alexander Funk (Lace Mix). It's All About You - Doctor Kucho/Jodie (Bob Sinclar Club Mix). Lust – Art & Soul – A Personal Collection By Louie Vega (2CDs). 13 Dancing in My Sleep. 8 Souffles H (King St Club Mix) / To Be in Love (Jask Mash-Up) [feat. 4 Walking on Thin Ice (Anane's Old School Dub Mix). ]. 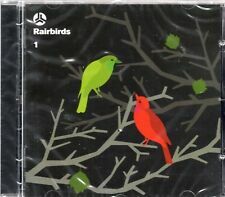 Rairbirds : Rairbirds 1 CD (2007)Title: Rairbirds 1 Artist: Rairbirds Genre: Rock/Pop|Pop Duration: 53.20 mins Format: CD / Album Type: CD No. of Discs: 1 disc(s) Studio / Label: One Little Indian UK Release Date: 17 Sep 2007. TAYO Fabriclive.32 CD ALBUM. 3 – Tayo AndUndersound Ft.Edu K Putaria Toda Hora 2:13. 14 – Tayo AndCare In The Community Dutty Bomb 4:31. 17 – Sarantis Ft.Warrior Queen More Than Money 3:48. 15 – Marc Adamo Vicious Exit 3:37. Mixed by Sander Kleinenberg. This Is CD. Artist: GROOVE ARMADA. Title: GREATEST HITS. Label: COLUMBIA. Year: 2007. Of Discs: 1 disc(s) Studio / Label: Defected Records UK Release Date: 04 Jun 2007. 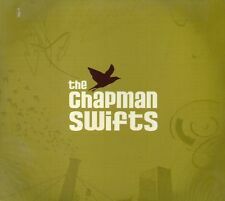 Of Discs: 1 disc(s) Studio / Label: Short Stop Recordings UK Release Date: 30 Apr 2007. Tidy Weekender 11 - The Tidy High School Romp (Parental Advisory, 3CD 2007) NEW/SEALED. TW11 – The Tidy High School Romp Mixed By Steve Thomas, Amber D & Mark Sherry (3CDs). Checkmate - Andy Farley. The Escape (Won't Let You Go Away) - Adrenaline Depth. Give In (Hardsoul Reconstruction) - Hardsoul. Defected D-Fused & Digital Amsterdam Mixed By Hardsoul (2CDs). Back Together (Original) - Hardsoul. CD 1 - Mixed. Cabo Parano (Main Mix) - Martin Solveig. This great CD was released by R2 Records in 2007 ( R2CD011 ). The CD is new and sealed. Didn't See It Comin'. Sad Isn't It. All Teched Out. Souls Like Mine. Beautiful Brown People. Inside Out. Very Good with minor, faint surface mark. See pictures for details. Artist: FRISCO VS ICE MC. Title: THINK ABOUT THE WAY. Country: UK. Year: 2007. 1-1 Stakker Humanoid (Feadz 2007 Mix) 4:01. 1-4 Stakker Humanoid (Punx Soundcheck Mix) 4:05. 1-9 Negative Electron (Humanoid Mix) 2:42. 2-3 Cry Baby (Humanoid Mix) 4:53. 2-7 Stakker Humanoid (12" Original) 5:00. Title: KERRI CHANDLER coast 2 coast. Format: 2X CD, compilation, mixed. Of Discs: 1 disc(s) Studio / Label: Epitaph UK Release Date: 02 Jul 2007. Disc 1 16 Outro 1.02 mins. Disc 1 15 Tiempo 0.57 mins. Disc 1 14 Ya Verdad 4.26 mins. Disc 1 12 Vidas Animadas 2.52 mins. Disc 1 11 Era Tu 2.32 mins. Artist: BOB SINCLAR AND CUTEE B. Label: DEFECTED. Title: SOUND OF FREEDOM. Country: UK. NEW AND SEALED ITEM . Audio CD (13 Aug. 2007). Format: CD. Number of Discs: 1. Tear Down The Walls (With Gina Dootson & Paul Maddox). Dead Of The Night (With Gina Dootson). Of Discs: 1 disc(s) Studio / Label: Defected Records UK Release Date: 07 May 2007. Disc 1 11 Mr Bongo 9.50 mins. Disc 1 12 Make Peace 7.25 mins. Disc 1 10 Jus Dance 6.53 mins. Disc 1 9 V Get's Jazzy 4.42 mins. Critikal - Graphorrhea (2007, Kvitnu) [CD, Import]. Of Discs: 1 disc(s) Studio / Label: Epic UK Release Date: 23 Jul 2007. Artist: WAYNE FOUNDATION. Label: SONY. Country: UK. Crazy Diamond Presents Secret Disco – V/A (2CDs). In The Morning (Final Raw Mix) - Kerri Chandler. I Believe In Dreams (AC vs GJ Original Mix) - Grrove Junkies. Your Woman (One Foor In The Groove Soulful Remix) - Love Rats. CONDITION: CD is in New Sealed condition. The Small Print USA / Asia / Rest of World £5.50. CDs in mint/near mint condition in sealed box set. Lyteo Interpretations. MR SAM featuring KIRSTY HAWKSHAW. (Incluudes the bonus K-Klass Club Mix of SOS and the brilliant Stonebridge Remix/Boys Town Gang version of Cant Take My Eyes Off You. With custom promo stickered outer slipcase picture sleeve and still sealed and therefore unplayed VICP-64010). 2007 re-issue of the 1999 album on double disc format. Lotus (We Sit-In Mix By Mouse On Mars). Lovely Daugher (Acoustic 2007). Many Weathers Apart (Remixed By Destro). Lovely Daugher (MJ Cole Extended Remix). Artist: CHOW CHOW. Title: COLOURS AND LINES. Label: FANTASTIC PLASTIC. Country: UK. This great CD was released by R2 Records in 2007 ( R2CD010). The CD is new and sealed. Call Of The Ancestors. Mouzon's Electric Band - Everybody Get Down - Mouzon. Christmas Gifts. Christmas Music & DVDs. Gichy Dan - Cowboys and Gangsters - ZE. Peter Gordon and Love Of Life Orchestra - Don't Don't - Lust/Unlust. Hot In The Dolls House. CD in mint/near mint condition in sealed cardboard slipcase. Slipcase may have stickers on front and/or reverse - see scans. CDs in mint/near mint condition in sealed digipak. Digipak may have stickers on front or back (see scans). Club Azuli Vol. 5 (Mixed By David Piccioni) (2CD 2007) NEW/SEALED. Nastic, Marko / Nasty, Billy "Bordel". Ubu "Pixels (Guy Gerber's Late Check Out Mix)". Samim "Heater (Original Mix)". Mojo, Paolo "JMJ (Original Mix)".